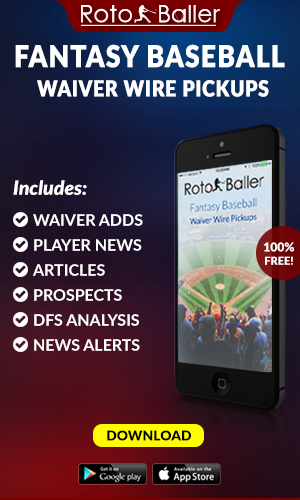 Welcome back to Streaming Wars, your one-stop shop for streaming the waiver wire. This article, which began last season, runs seven days a week. We are always ready to stream. 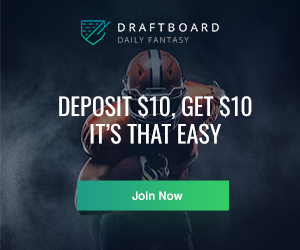 For those who are newcomers to this feature - use this column on a daily basis to improve upon your neediest categories, and target players who may be available on your waiver wire. 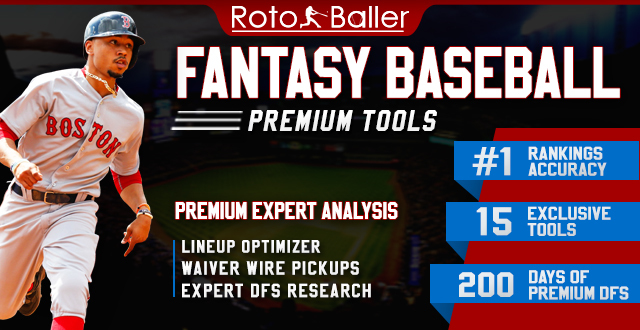 Below are your pitcher and hitter streaming targets for Friday, May 11. Let's get to it. 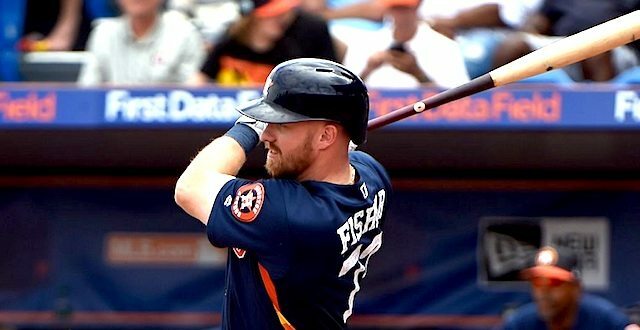 Yesterday, Max Stassi and Derek Fisher popped important home runs against the Athletics. Both players are occasionally useful as streaming targets. It can be hard to predict when Stassi will start - usually against tough left-handed pitchers or during a day game following a night game. In the case of tough lefties, you probably want to avoid him. 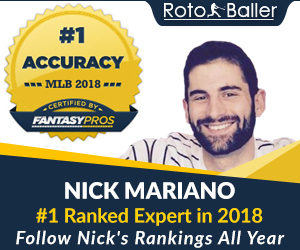 When Stassi does have a soft matchup - especially against a middling ground ball pitcher, he's a solid bet for a home run. Fisher is a different sort of asset. His combination of power and speed could fill up a stat sheet. Alas, he isn't performing well at present and could probably use a stint in the minors. A 43.9 percent strikeout rate ain't going to cut it in the majors. However, with a little extra seasoning, Fisher could develop into a regular fantasy asset with 20 home run power and 20 steal speed. He'll be blocked on the Astros roster for the foreseeable future. Perhaps he's destined to be trade bait. New York has a small risk for disruptive storms. They should play without too much interruption. The start of the game in Baltimore could be slightly delayed. The Braves are going on a fishing trip to Miami. Brandon McCarthy will be the first to cast against the worst offense in baseball. He's usually somebody you target for a chance at a victory without totally destroying your ratios. His command has been a little below his usual standards this year - especially lately. Andrew Suarez's matchup against the Pirates is somewhat difficult to judge. The best aspect is PNC Park - a decidedly pitcher friendly venue. Suarez has also pitched well through three starts, although his peripherals suggest a reckoning is due. Consider this a high risk, modest reward matchup with a chance for a win and a handful of strikeouts. By no means is he a safe play. The Pirates are favored to win this game. Chase Anderson may have a tolerable 3.97 ERA. Advanced metrics are less keen, predicting between a 5.00 and 6.00 ERA going forward. The issue is a combination of factors - fewer strikeouts, more walks, reduced velocity. 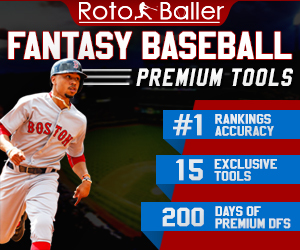 He's used smoke and mirrors to produce a .210 BABIP, but nobody believes that's sustainable. A visit to Coors Field is likely to be the straw to break Anderson's camel hump. Matt Koch, kind of like Anderson, has outperformed his peripherals. Scouts and video analysts now have 25.1 innings to dissect. I fully expect the Nationals to go ham against a pitcher who lacks an above average pitch or anything that produces swinging strikes. Matt Joyce is batting .191 with a shiny .342 OBP. A visit to Yankee Stadium should help him to overcome his tepid power production to date (just two home runs). The fly ball hitter should fare well against a struggling ground ball pitcher like Gray. Enrique Hernandez has a long history of lefty mashing. He's a career .263/.359/.503 batter versus southpaws with more extra base hits than singles. Finnegan is a particularly exploitable left-hander. Consider using Austin Barnes too. He's continued to hit well despite limited playing time behind Yasmani Grandal. While there's no shortage of power hitters, it's harder to find base thieves. Mallex Smith is the most obvious play. He should start against Gausman. The righty can forget about baserunners from time to time. An alternative is current Padres leadoff man Travis Jankowski. The ground ball hitter is purely reliant on BABIP and a decent walk rate to reach base. When he's hot - as he is now - he can keep pace with the best base stealers. Yadier Molina is sidelined with... an injury... which could help Jankowski's chances. Francisco Cervelli has the platoon advantage against Suarez. With his new batted ball profile (more flies, better quality of contact), he should be owned outright in all formats.